he Montreux Jazz Festival presented a superb program on the evening of July 8th in the Stravinski Hall, the main concert venue of the festival. 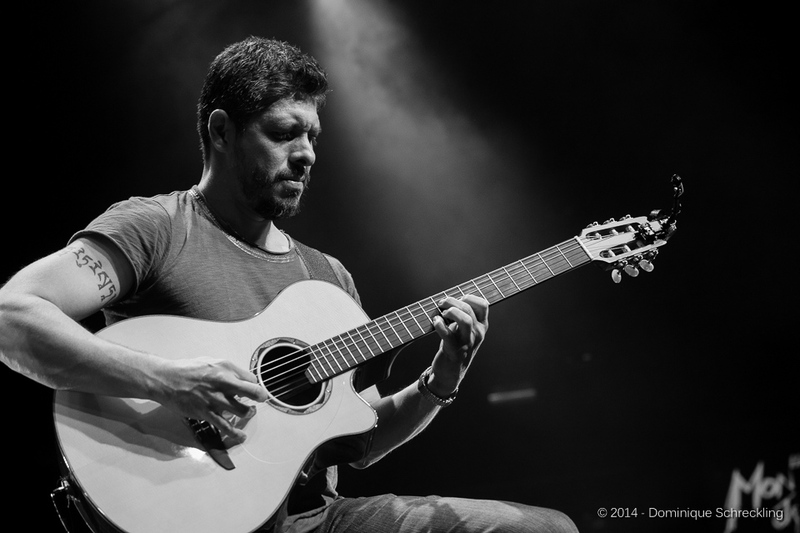 The evening started with a truly amazing performance by the Mexican guitarist duo Rodrigo Y Gabriela. It is difficult to describe their music style and they say themselves, they don’t want to be put into a genre; they play a fusion of many influences from heavy metal, rock, experimental music and, of course, the rhythm of their Latin roots. 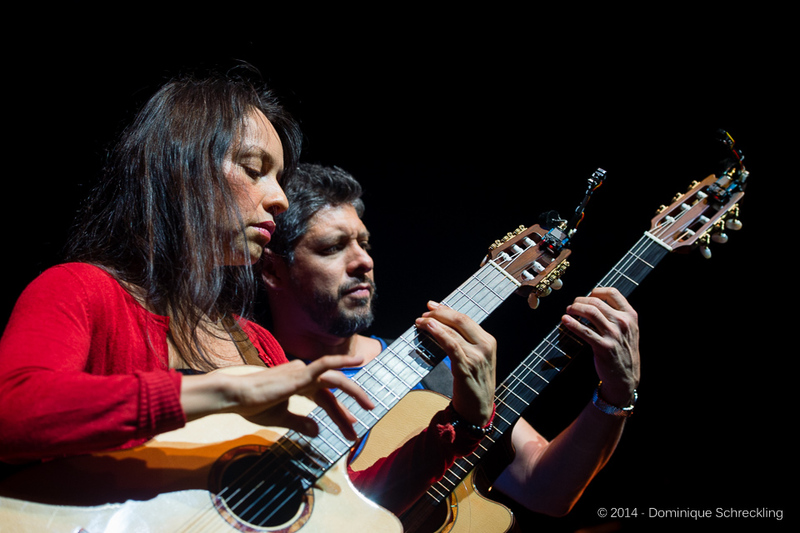 Their music consists largely of unaccompanied duets on the Classical guitar. They don’t only play the guitar the traditional way using the strings; the body of the guitar serves also as a drum. What is so surprising is the richness of the music with just two performers on stage. Gabriela seems to go into trance within a few seconds after the start of the concert. It remains a mystery to me how she can constantly jump around the stage, eyes almost closed and still play the guitar at an incredible pace between the melody on the strings and the rhythms on the “drum”. Both musicians set the whole audience of the Stravinski Hall on fire with their furious rhythms, passion and dexterity. According to legend, they dip their hands for fifteen minutes into ice water after each concert. 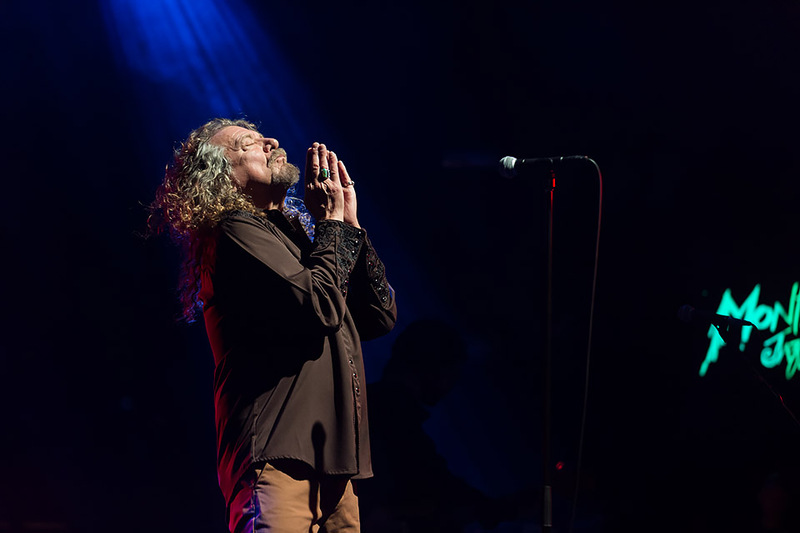 The audience did not have a long break after the breathtaking concert of the Mexican duo; their concert was followed by a not less amazing Robert Plant. His strong, powerful and mesmerizing voice made the former member of Led Zeppelin one of the world’s most incredible singers. 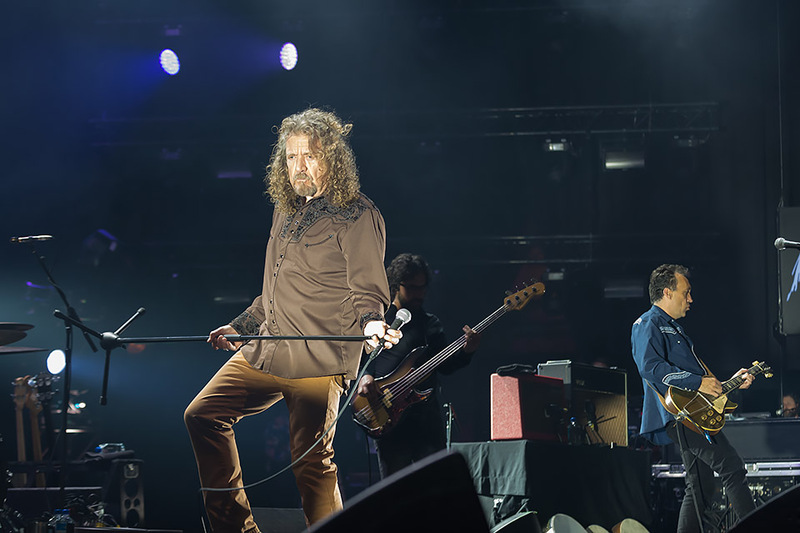 Robert Plant seemed to be very proud when he entered the main stage of the Montreux Jazz Festival with his new group The Sensational Space Shifters; six virtuoso musicians performing a mixture of afrobeat, blues, jazz, Irish folk and of course rock. In the center of attention, the lion has retained his long curly mane.